The VIGO Icicles glass vessel sink and Olus wall mount faucet set in Brushed Nickel is a refreshing update to any bathroom. The VG07006 glass vessel bowl features an icicle-like pattern engraved into clear glass. Handmade with possible unique and slight colour variations, so no two sinks are identical. 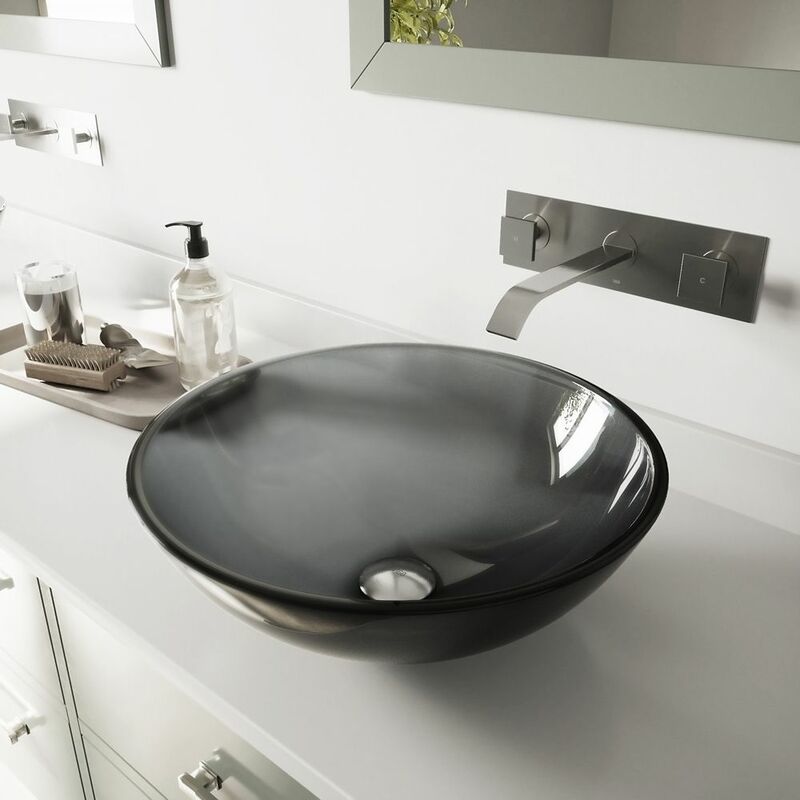 Glass Vessel Sink in Sheer Black with Wall-Mount Faucet in Brushed Nickel is rated 5.0 out of 5 by 1. Rated 5 out of 5 by NA NA from Love it! Both the faucet and bowl are very heavy, good quality.Remodeling a bathroom and this sink and faucet turned out perfect!